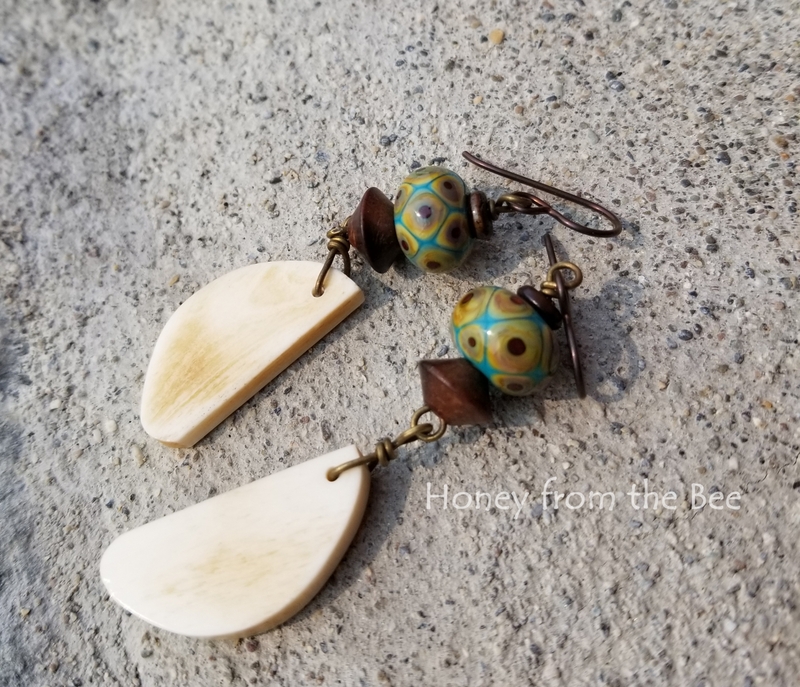 Down by the Seashore - Lightweight Summer dangle earrings! The small lampwork beads were made by Rita Forman and a gift from my sis-in-law. I really like the precise dot work and colors in these. 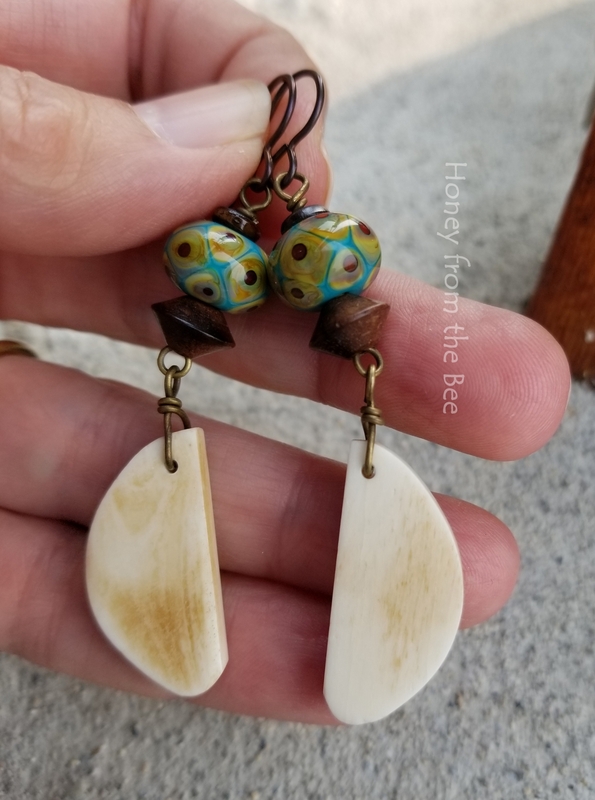 I've dangled some vintage bone beads and added some dark wood accent beads, too. Casual and beachy don't you think?! 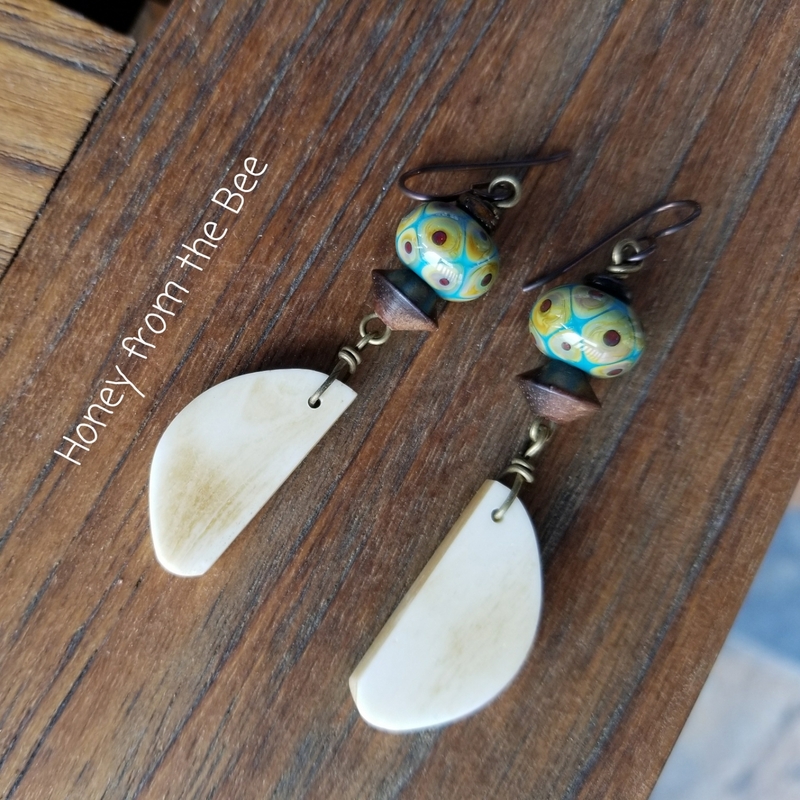 Niobium earwires make these hypoallergenic. Just under 2 3/4" from the top of the earwire to the bottom of the dangles.